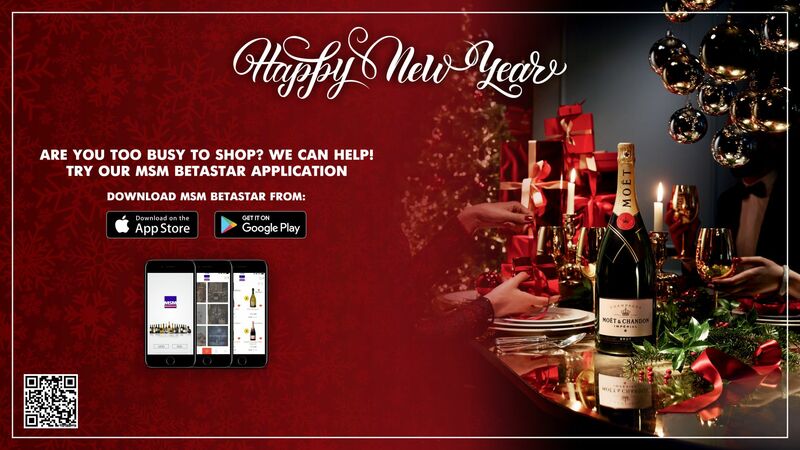 We offer you 25-40% discounted sales of our champagnes, sparkling wines through our "MSM BETASTAR" mobile application. 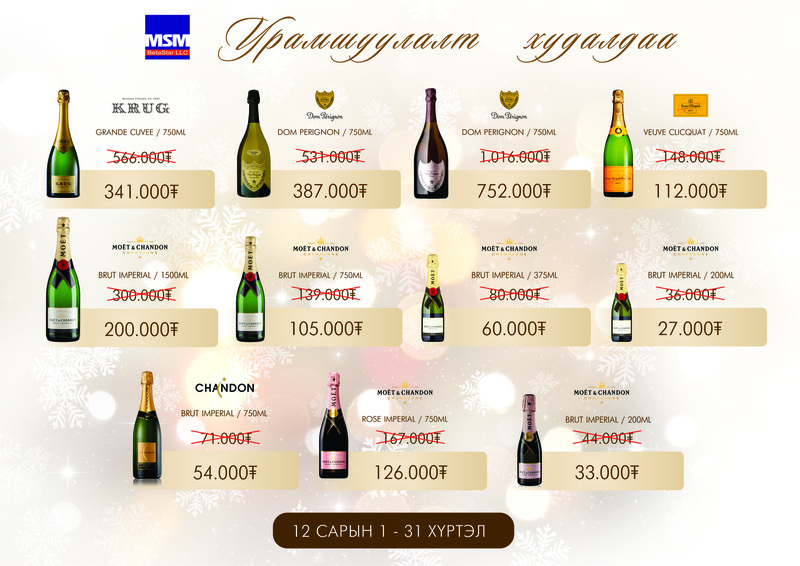 Our offer is valid until 32 of December and there's free delivery in Ulaanbaatar city within 09:00 a.m to 00:00 a.m.
A new year brings not only happiness, it makes us happy with a hope to fulfill our dreamz or a new beginning of our life. 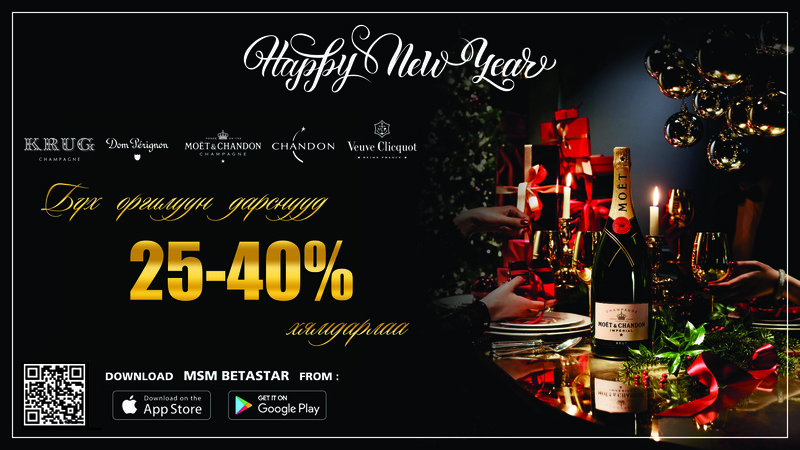 So, a new year is very special to everyone. Happy New Year!